Only a 3 minute drive from this beautiful, secluded home to the heart of Hudson. This beautiful newly renovated home provides privacy and tranquility as part of an 11 acre estate directly on the Hudson River yet only minutes away from Amtrak and Hudson's Warren Street with all its restaurants, galleries and shops. The home is at the end of a private road on Mt. Merino and boasts the most stunning views of the Hudson River and Catskill Mountains. The home consists of an over-sized gourmet kitchen with granite counter tops and new stainless steel appliances. It opens to an impressive great room with beautiful river and mountain views; wood burning fireplace; 45 inch flat screen TV and plenty of comfortable seating. Off the kitchen is a large elegant dining room with the same beautiful views. A half bath is down the hallway. A completely furnished large screened in porch off the great room overlooks a beautiful large lily pond. There are two master bedroom suites. The first floor suite consists of a four poster king size bed; armoire with 32 inch flat screen TV; comfortable reading chair and huge walk in closet. The en suite master bathroom has a huge two person walk in marble shower with three shower heads and marble bench. A luxurious bubble tub sits right under the window and double sinks are set in a custom marble top cherry vanity. The second floor master bedroom suite consists of three rooms plus a private bath. A cozy sitting area greets you at the top of the stairs with a full size camel back sofa perfect for a nap or reading a great book. The large bedroom contains a king size cherry sleigh bed; beautiful chest of drawers; flat screen TV; comfortable reading chair and huge closet. A small office/den with a desk, chair and love seat completes the suite. The property is abundant with wildlife including deer, turkeys, fox, coyotes and more. Majestic bald eagles, ospreys and red tail hawks are often sighted flying overhead or feeding in the fields. You will enjoy the most breathtaking sunsets from which Frederic Church painted his most famous paintings as well as observe the every changing scenery of Hudson River activity. The home features a security system; automatic generator for entire house in case of power outage; one car garage; washer and dryer; central air conditioning; Direct TV, BluRay and DVD players; wireless internet throughout; abundance of games, DVDs, books and magazines; Weber gas grill; LL Bean Adirondack chairs; teak benches; beach chairs and towels; coolers and much more. THIS IS A NO SMOKING, NO CHILDREN AND NO PETS HOME. THERE IS A MAXIMUM OF 4 ADULTS ALLOWED. The owners are from the Hudson Valley and live full time on the property in a separate home they built in 2000. We love the Hudson Valley and wanted to share our view of the river and mountains with our family and friends and now guests. The property is contiguous to our original property and when the opportunity presented itself we made the purchase and completely renovated our 'guest house'. 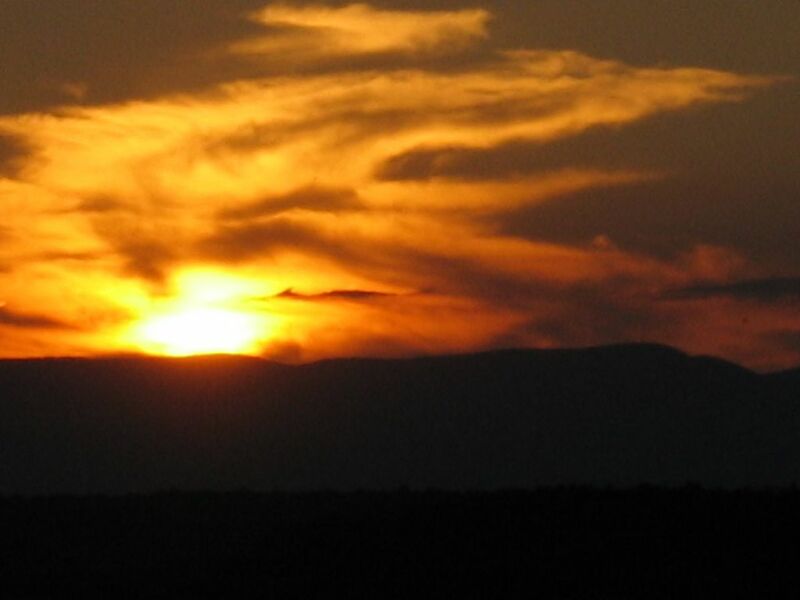 The views of the Hudson River and Catskill Mountains are breathtaking and the glorious sunsets never cease to amaze. The privacy and tranquillity along with the astonishing wildlife makes this property a true treasure. Home Security System; automatic generator for entire house in case of power outage; office/den; wireless internet; pond; perfect location for privacy and tranquility yet minutes from Warren Street restaurants, galleries, shopping and Amtrak. NO SMOKING. NO CHILDREN. NO PETS. Historic sites including Olana, Thomas Cole House, Montgomery Place, Staatsburg (Mills Mansion), Vanderbilt Mansion, Wilderstein and Franklin D. Roosevelt Presidential Library; Lake Taghkanic State Park, Hunter Mountain, Windham Mountain, Scenic River Cruises, Tanglewood, shops, galleries and restaurants on Warren Street in Hudson.